Barrister Trish Maguire despite having sufficient company and commercial law cases is persuaded by one of her legal partners to assist an author who has written a book based on the diaries of a convicted student activist bomber who killed twenty school children. She has libeled a prominent member of the House of Lords who is also a government spokesman on housing the homeless. The diaries reveal an accomplice by his nickname - an unusual one - and also the little known family nickname for the Lord. Trish's friend Caro Lyalt a detective police inspector confides in her that she is on the shortlist for a new job, which she desperately wants. She has also been approached by a woman police constable who says she has evidence of corruption, with a senior police officer being on the payroll of a ruthless criminal gang. Trish investigates on behalf of both women. Very soon there is a tragic development in one case and Trish soon realises that she has put herself and her family in danger from desperate and violent people. This is a gripping thriller that keeps your interest throughout. Some aspects don't work however, Trish's dialogue with her partner and half-brother is often old fashioned and some of the gangland detail is unbelievable. Surely a gang which has been operating for fifty years would have more sophisticated methods? However these are minor complaints as the book flows well, the characterization is believable and the suspense is maintained throughout, with unexpected twists to the plots to keep you guessing. 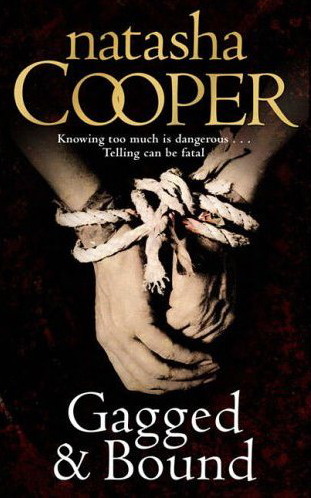 However taking a reoccurring phrase from the story perhaps the book should have been called "bagged & gagged"! !